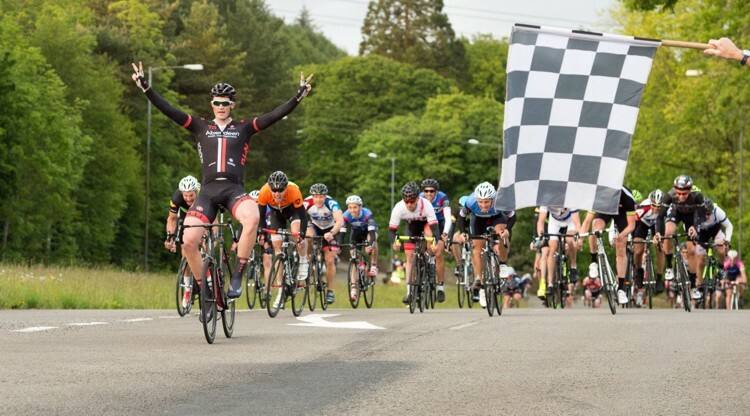 Congratulations to Port Talbot Wheelers members Morgan Hendry and Dave Crowley together with Alex Thomas and former member Mike Hall for their outstanding effort in the L'etape de la Defonce 2015. 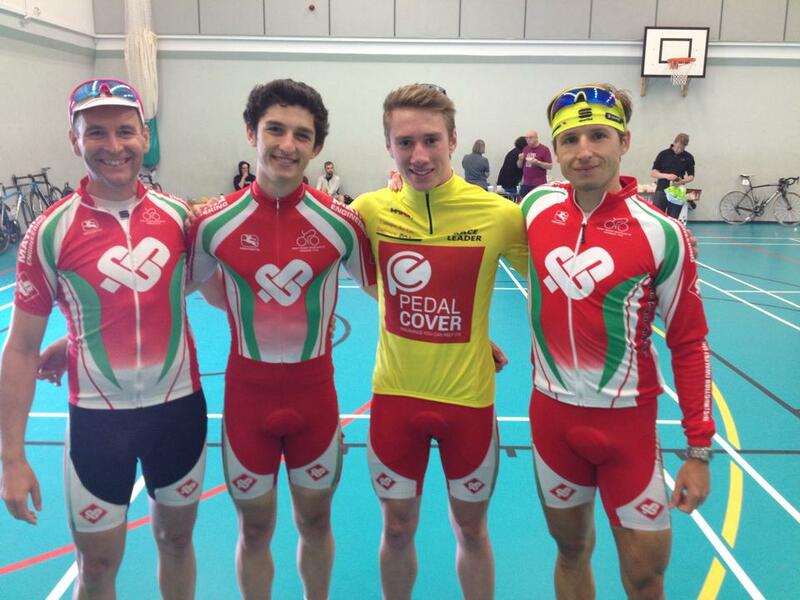 Saturday saw Morgan Hendry take the yellow jersey with a time of 16:47 in Stage 1 - The Cowbridge 10K TTT. Next up was Stage 1A - 80km Rolling Road Race. It was Dave Crowleys turn to shine and after a start with Morgan on his wheel it was looking good until Morgan cramped and fell back by half a lap. With 1Km to go his companions weakening he took to the front. With 100m to go and looking like it may be another win he was pipped to the post by another rider. 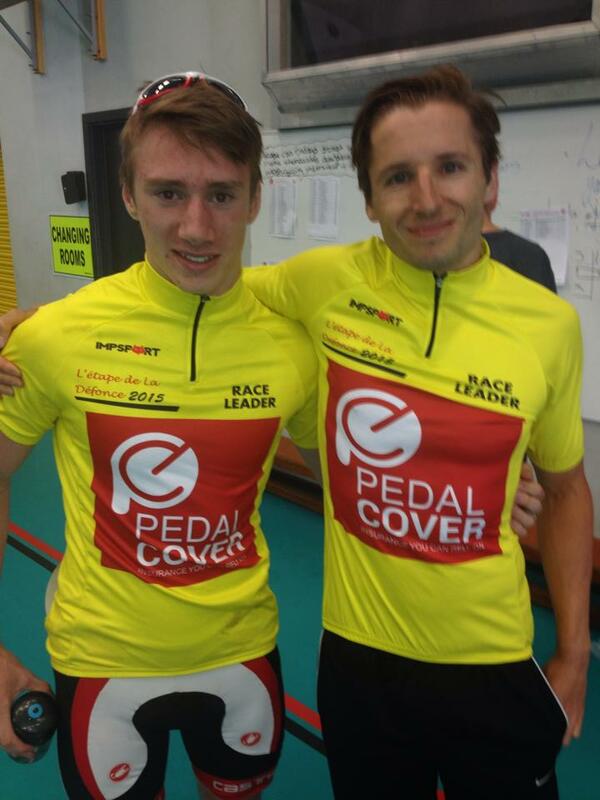 Still gets to wear the yellow jersey in the next stage. Unusually for Dave, without everything else matching. 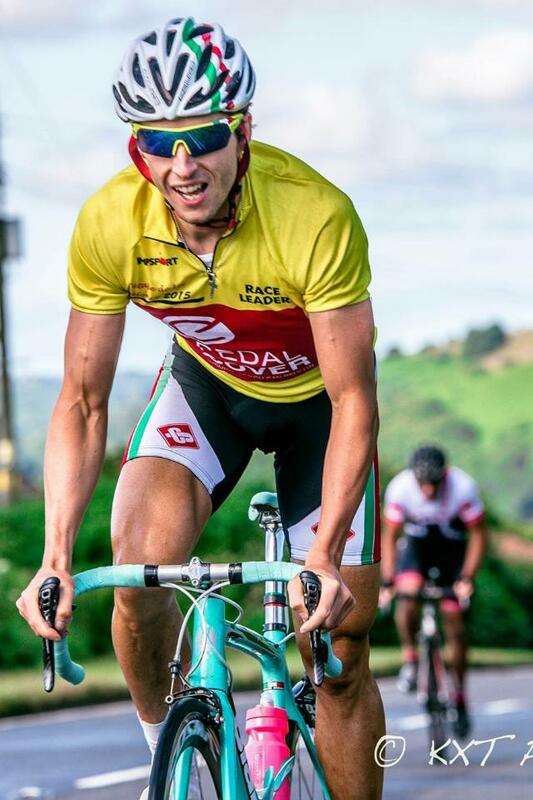 And on to Stage 2 - Sundays 80Km Road Race. The weather first thing looked like it may be a bit wet but by the start it had cleared, just a bit of a westerly wind to contend with. After a start where the team weren't together they regrouped by Heol y Cyw ready to take on the climbs. Morgan put the hammer down and Alex also put in an impressive effort. Dave took the front at Blackmill climb only to be taken by a skinny junior. Alex managed to catch him and get a time bonus in the process. 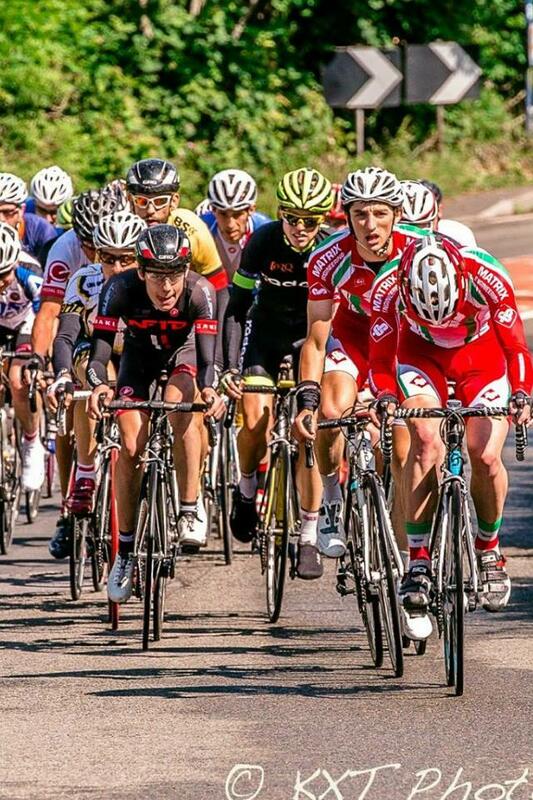 A few more climbs saw the team suffering, the junior was still keeping the pace along Heol y Cyw with PTW in hot pursuit but rumours were that he was 35 minutes behind after a previous puncture which gave the team a bit of respite. 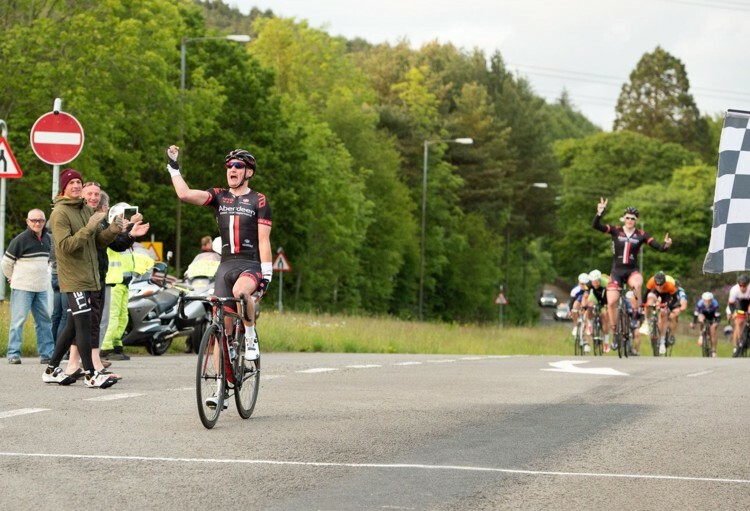 With a bit of time to recover it was on to the last climb when Morgan and Alex went full throttle and Dave jumped the bunch to take 2nd place. Alex took 2nd place overall making it a PT 1-2 on GC. 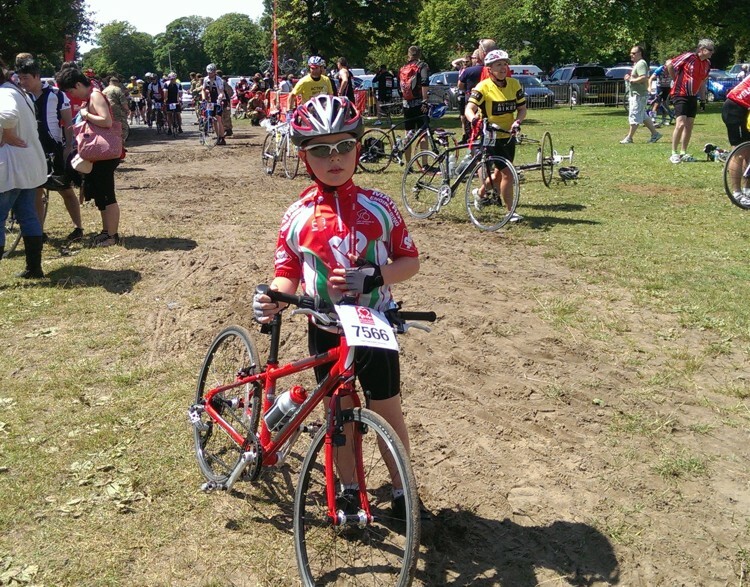 Spot's son Iori completed the 28 mile route of the British Heart Foundation Gower bike ride today. No mean feat for an 8 year old on such a hilly course. 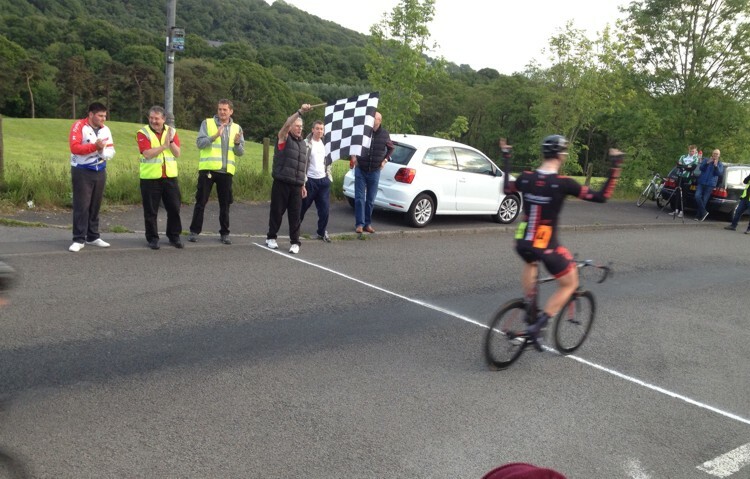 An exciting night was had by all on Thursday when Port Talbot Wheelers hosted the Presidents Trophy Handicap Road Race. 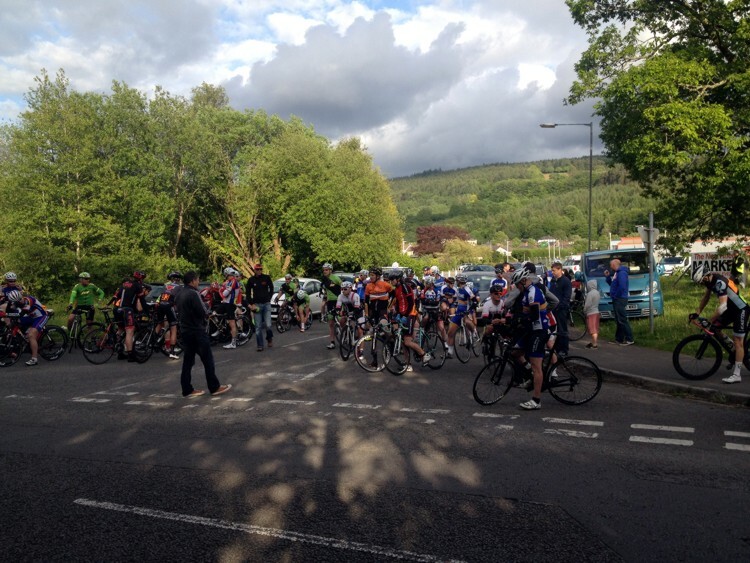 The riders prepare for the off at Resolven TRW club. 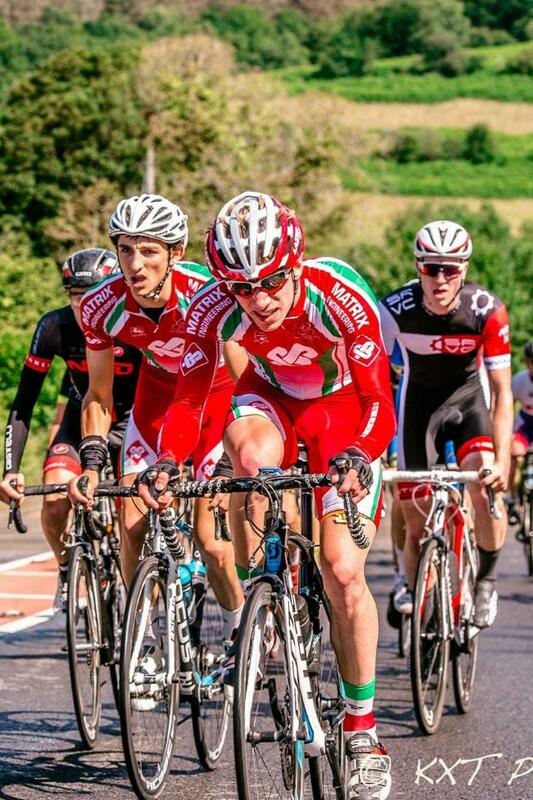 The race started from TRW club heading North East up the A465 to the Blaengwrach roundabout at McDonalds with the moderate North Easterly wind giving the riders an initial boost. They then headed West into the wind on the B4242 Glynneath road all the way to the Ynysygerwn cricket club junction. The riders arrive at the first lap then it's past Ynysygerwyn cricket club junction where traffic stopped to watch as the riders raced around the bend and down the hill to the Aberdulais roundabout rejoining the A465, this time continuing all the way back to the McDonalds roundabout before returning back on the Glynneath road to Aberdulais for a final lap on the A465 and back to the Finish line just before Ynysygerwn Cricket Club at the Groundhog factory. 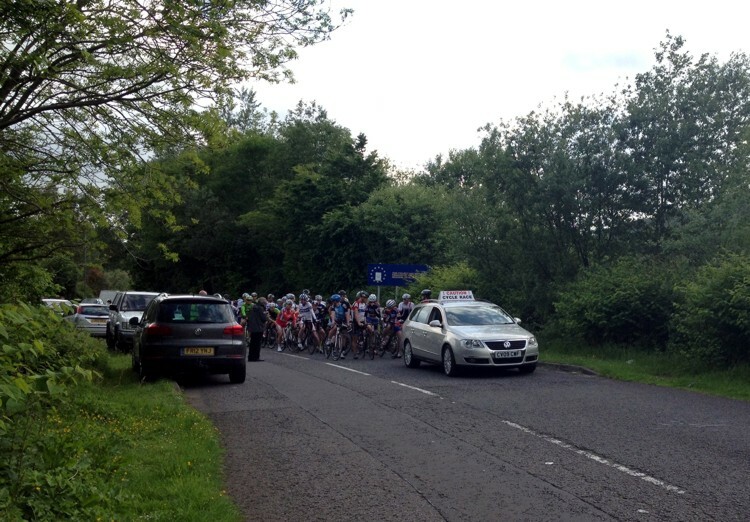 There were no reports of injuries but some riders failed to finish. 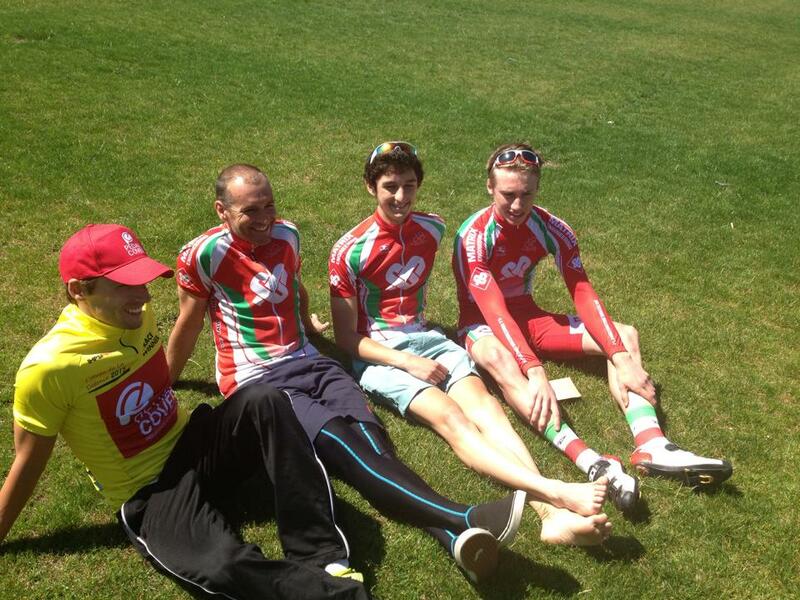 It was still a good effort from them and we hope they still enjoyed the race. There were a good show of spectators at the finish line ready to welcome Rhys Lloyd of NFTO to be first to cross the line. 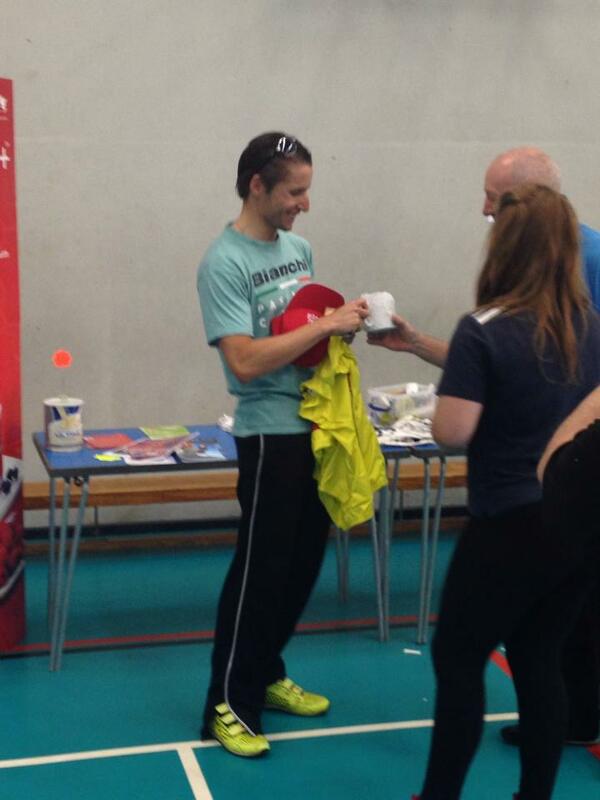 Rhys was closely followed by James 'Tank' Lewis, also of NFTO. 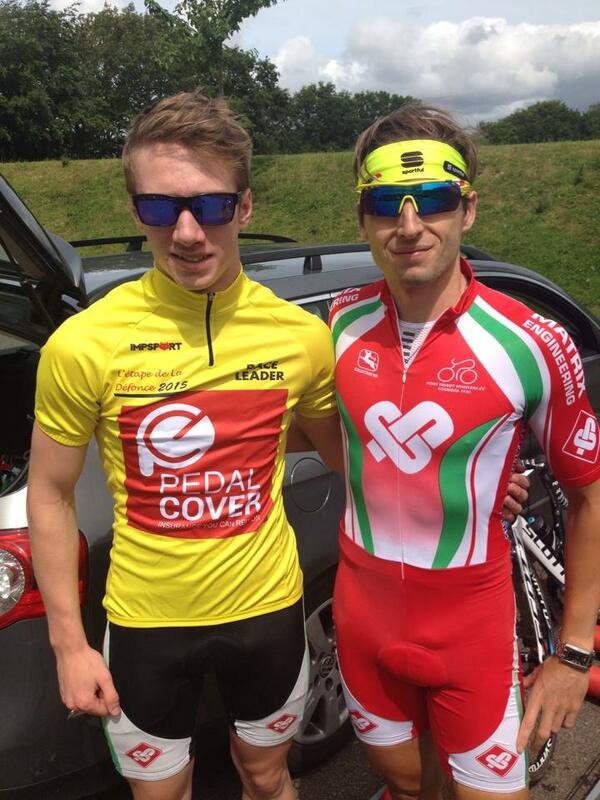 Both former members of Port Talbot Wheelers. Thanks to Kevin Thomas of Bike Photography for some of the photos and videos. Click here To view all the excellent photographs he took on the night. Does anyone remember Glen Tucker? Glen Tucker was club captain around 1950. He had the nickname of ‘Cyclone’ after his Major Nicholls bike. His son Keith Tucker has given us some photos. Do any of the older club members recognise anyone in the photos? 1. 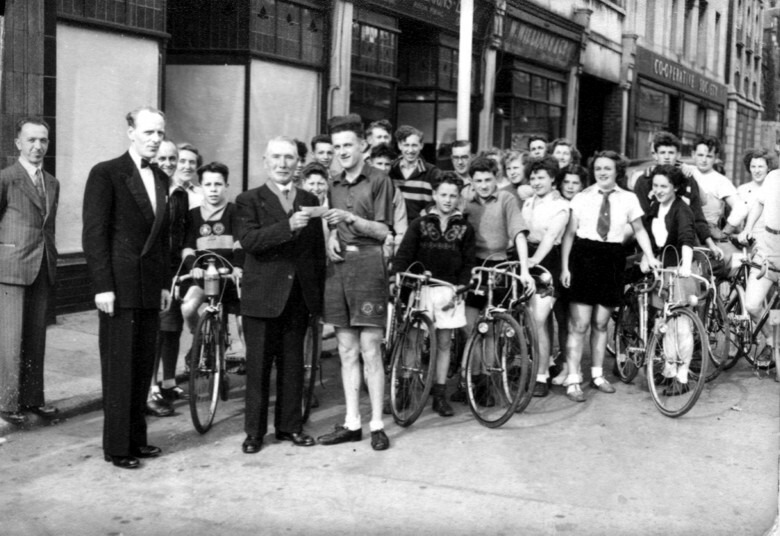 Port Talbot Wheelers – 1952, Pictured outside the Odeon Cinema, Forge Road. Glen Tucker (Captain) receives a letter from Richard Evans, the Mayor of Port Talbot to deliver to the Mayor of Birmingham. 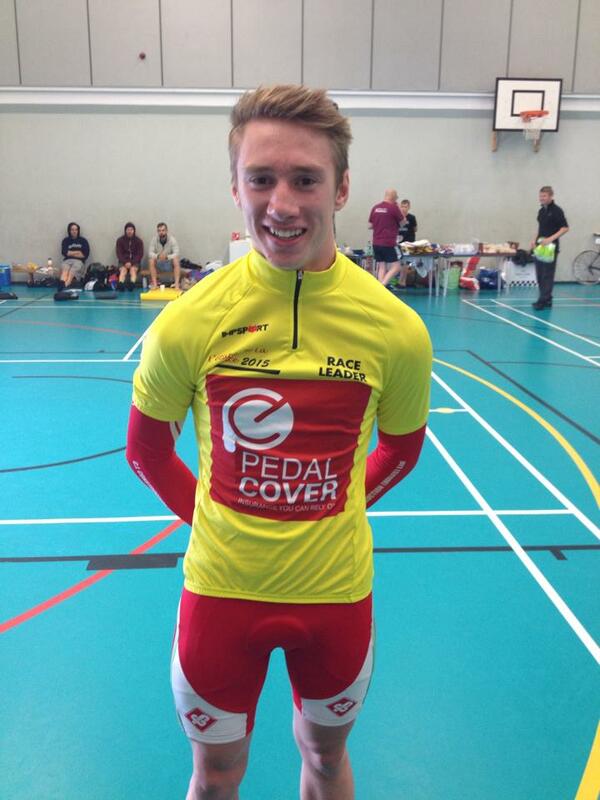 Which he did after the PTWCC won the Cycling Challenge Cup. The Manager of the Odeon looks on, the man on the kerbside is Reg Plowerman. 2. 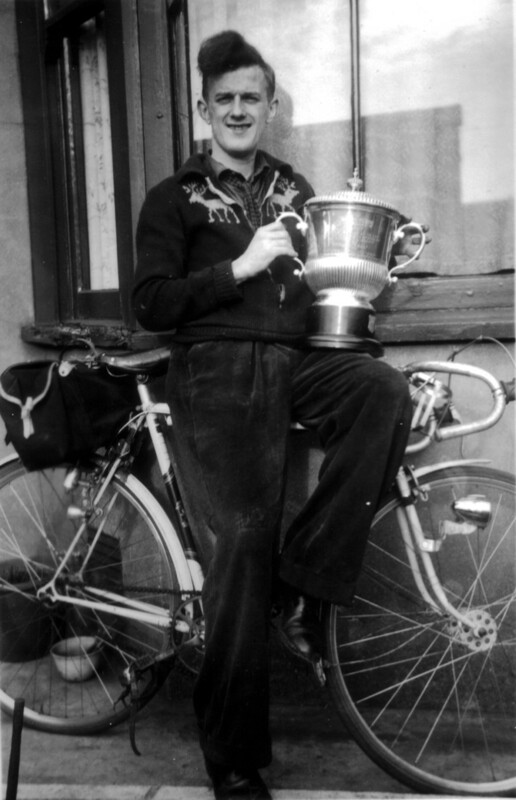 Cup 1952 - Glen Tucker with the challenge cup won by the Port Talbot Wheelers Cycling Club when as Captain he took 45 riders the 168 miles from Port Talbot to Birmingham (Total aggregate mileage of 7560 miles). 3. 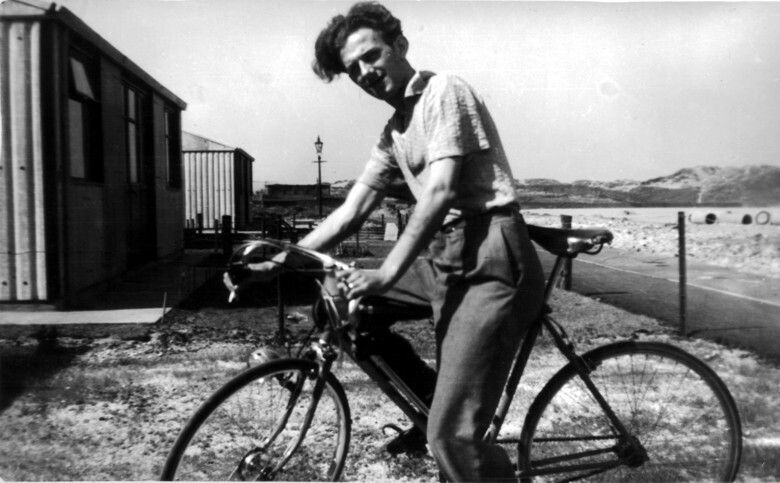 Glen Tucker and Holdworth Cycle outside prefabs at Warren Place Aberavon on Whitsun Sunday 1948. 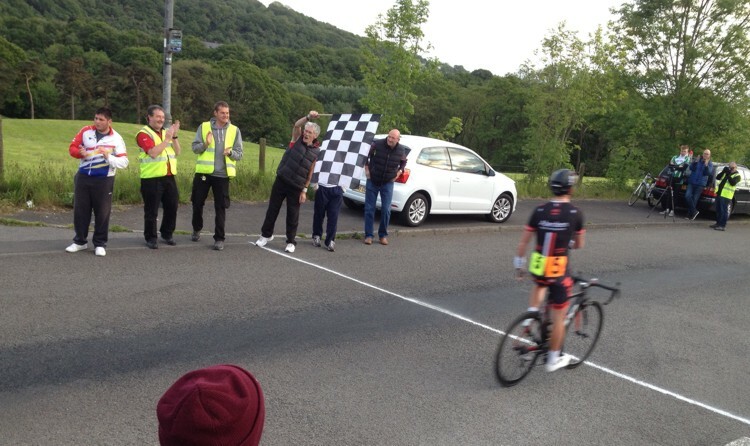 The TT Season has begun and the club timetrials on a Thursday night are well under way. A couple of weeks in and we have had a fine turn out of competitors. Only last week we had 29 entries, 16 from the club and 13 from other clubs. Remember entry is free for PTW Club members and a modest £3 entry for other clubs. Start time is now 7pm until the end of summer. 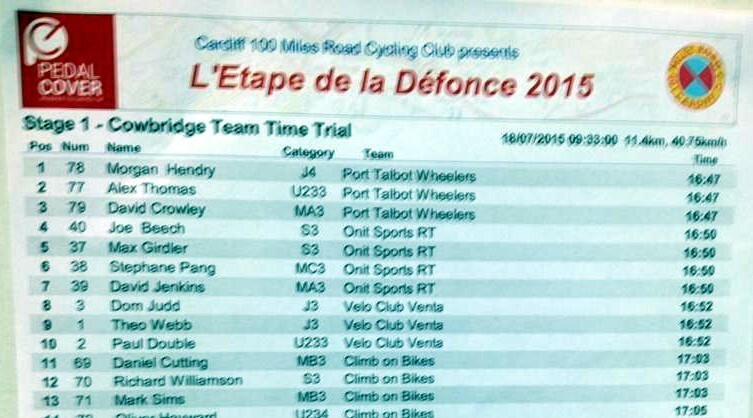 All results from the time trials can be found in the links bar at the top of the page. You can track your progress showing times and speeds of TTs you have done in the year/previous years by clicking your name.